Make sure your phone doesn’t get any bumps and scratches and get a personalised iPhone Xs Max case of your own creation. A unique custom iPhone Xs Max case can be designed in just minutes! 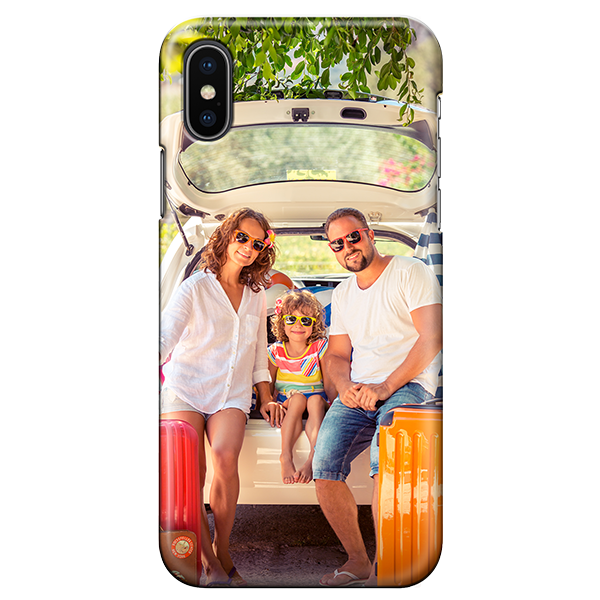 Upload your favourite photos, designs or logos and create an iPhone Xs Max personalised case that is unmistakably yours. Stay protected in style with your personalised iPhone Xs Max case! A personalised iPhone Xs Max case is protective and uniquely stylish at the same time. With us, you can create your very own in just a few simple steps. Simply choose your favourite design or image, upload it to our customizer and let your creativity run free. If you like, you can use one of the many designs, emojis or fonts and add an even more personal touch. You will be sure to stand out. Your phone will not only be well protected but it will show off your style. Get creative! Get creative and get your personalised iPhone Xs Max case! Designing an iPhone Xs Max is extremely easy! If you have nothing specific in mind or are just lacking inspiration, we’ve got you covered! We have a great selection of designs for you to choose from. Simply choose one and add your own personal touch with a little text or emoji. Get creative and design your new personalised phone case! The personalised phone case will turn your phone into a one of a kind accessory. Stand out from the crowd or make your own phone case as the perfect gift for family and friends. Get started now! 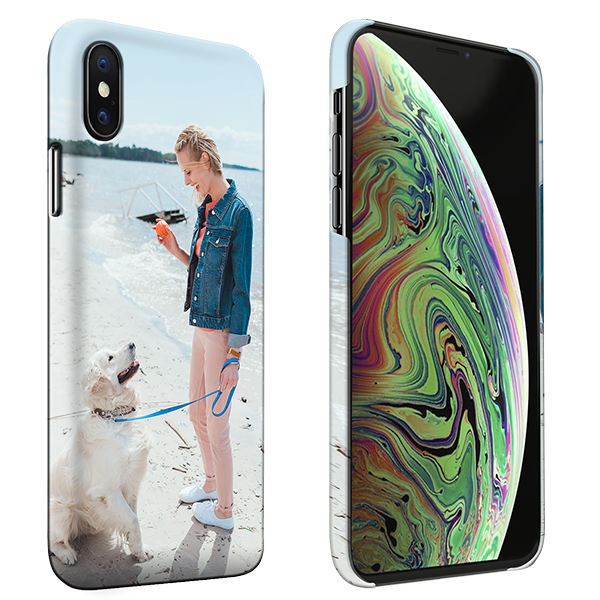 Once you’ve finished designing your new personalised iPhone Xs Max case and are ready to complete the order, we will almost immediately. get started with the production of your new personalised phone case. To make sure that our production team can create the case to look exactly the way you envision it to, don’t forget to make sure that the resolution of your uploaded design or photo is good and that the information you provide is correct. We will print your design in scratch-resistant ink so it will pretty much last forever. As soon as your personalised iPhone Xs Max case is ready, our production team will double check it and box it up to ship it to you. Get your personalised case today!